Arriving in Santiago at 10:30am on Friday June 10th was a HUGE relief. I had spent 31 days in constant pain, walking between 5 and 10 hours daily. I had thoroughly enjoyed the company and the scenery, but for the last few days of walking I was very ready for it to be done. I had early starts, walked fast and walked alone, mostly (Allan and I have roughly the same pace). I had spent the entire Camino remaining open minded about whether I would continue walking to the End of the World, Finisiterre, as so many pilgrims do. As I neared Santiago, my feet and knees were really making noises, Every time I stood after sitting or sleeping I could barely put pressure on my feet. I thought that if I attempted the additional 87km, that some part of my body would genuinely break. So I made the choice that was right for me, I decided I would stop walking in Santiago. 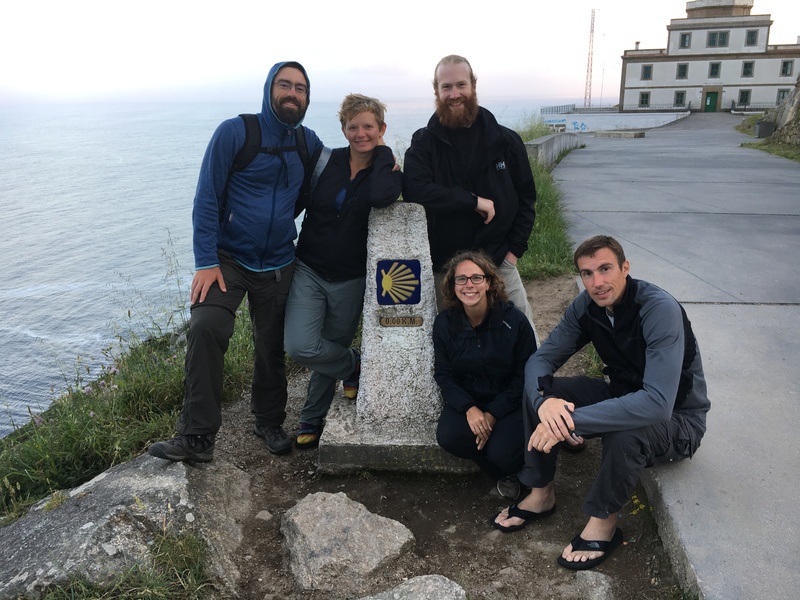 Of the seven in our Camino Family, Jake and Laura did not have time to walk to Finisterre, Steve and I chose not to, but Hannah, Will and Allan set off the very next day. We were very lucky with the weather we experienced on the Camino, it was dry every day except three days. Only two of those days did we get genuinely soaked right through. Most days were chilly and dry, some days, particularly in the last day were even quite hot. Post Camino, the weather cracked up and we had several days of rain. This made Jake, Laura, Steve and I feel pretty horrible for our three friends who were still walking, and experienced three days of rain. In compensation we promised them warm food and cold beer on arrival in Finisterre. Jake, Laura, Steve and I spent a full rest day in Santiago, mostly just sitting around eating and drinking. I did do a quick spot of shopping, but we really did very little. Jake and Laura didn’t have much time before they had to fly out, so on Sunday we rented a car. Together with our friend Tina we drove to Muxia and Finisterre, both known as final destinations for pilgrims. The stretch of coast where both Muxia and Finisterre can be found is referred to as Costa da Morte, death coast. It earned the name due to the number of ships that lost the fight against the rugged, rocky coastline. At Muxia we enjoyed a nice breakfast of bacon and eggs, a pure luxury, from a cafe overlooking the grey ocean. We made the trip out to see the church San Xulian de Moraime, Doorway of the Ancients, the ‘Wound’ sculpture, final trail marker and of course the ocean. We braved the wind and rain and enjoyed this brief visit, before quickly hopping back into the dry, warm car. From there, we headed the extra hour drove down the coast to Finisterre, where Steve and I said our goodbyes to Laura, Jake and Tina. Steve and I took refuge in our airbnb apartment and spent some time catching up on sleep and laundry. Glad to have time to relax without having anywhere we needed to be. Before we knew it Hannah, Will and Allan arrived bedraggled; after hugs and showers we all enjoyed a huge vegetable meal together, accompanied by celebratory beer and wine. 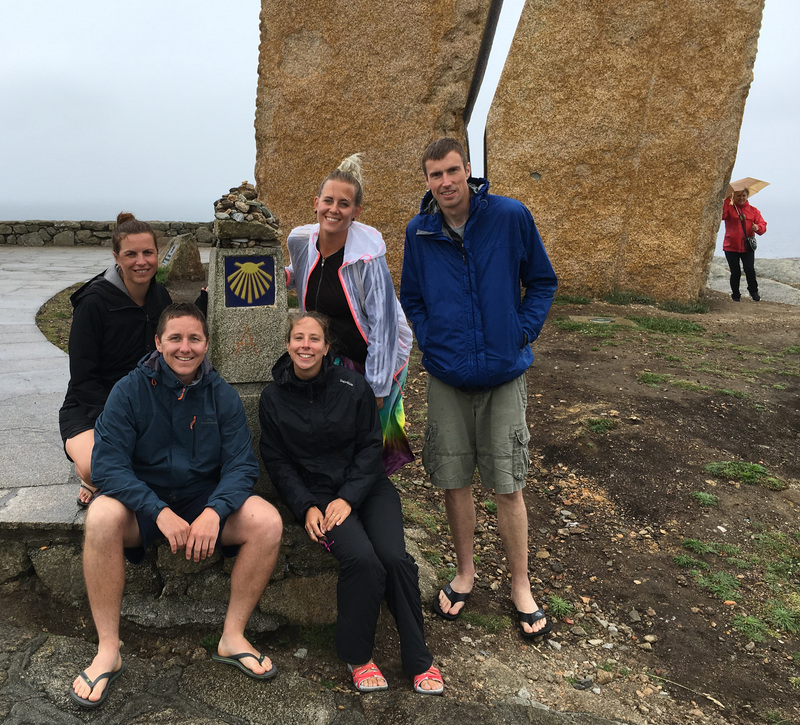 The official final step of the Camino, which we completed by private tour, was to visit the lighthouse and Kilometre Zero trail marker. Back when people thought the world was flat, Finisterre was thought of as being the End of the World. So this is where we went. Traditionally pilgrims burn items from their pilgrimage here, I put a solid effort into burning my threadbare, no-longer-white socks, but due to the wind and moist air, I only managed to scorch them. From our perch on the rocky clifftop we shared some wine and watched the sun set on an amazing adventure. It was the best way to round off such an interesting, difficult and rewarding experience. Our last days in were spent sharing stories, having a laugh, enjoying the short bursts of sun when it came out, walking to the beach and of course eating and drinking. 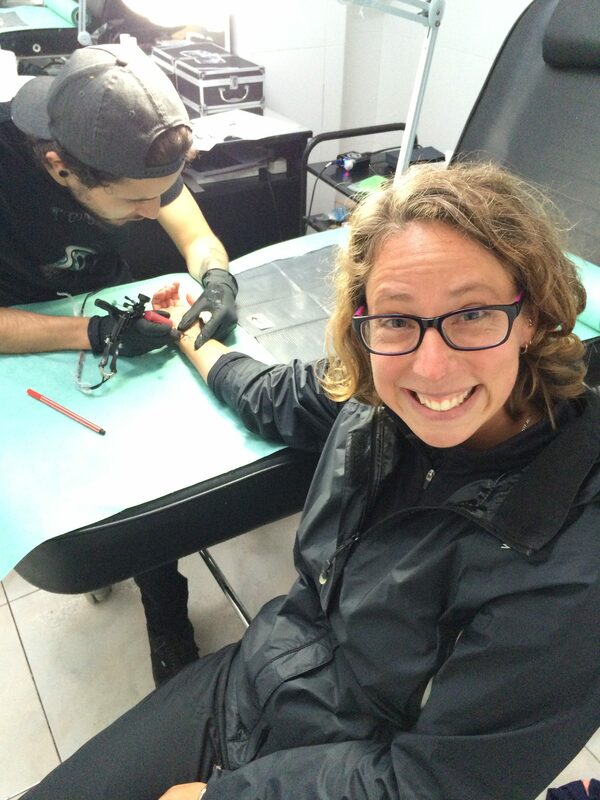 Back in Santiago a day before flying out, Hannah and I nipped in to Old Skull Tattoo studio to get a tattoo of a painted arrow. The arrow is the symbol of the way, it shows you which path to follow. More symbolically it is a reminder to follow your own path and to continue moving forward. Camino walkers are all familiar with the word Ultreia, which means the same thing. 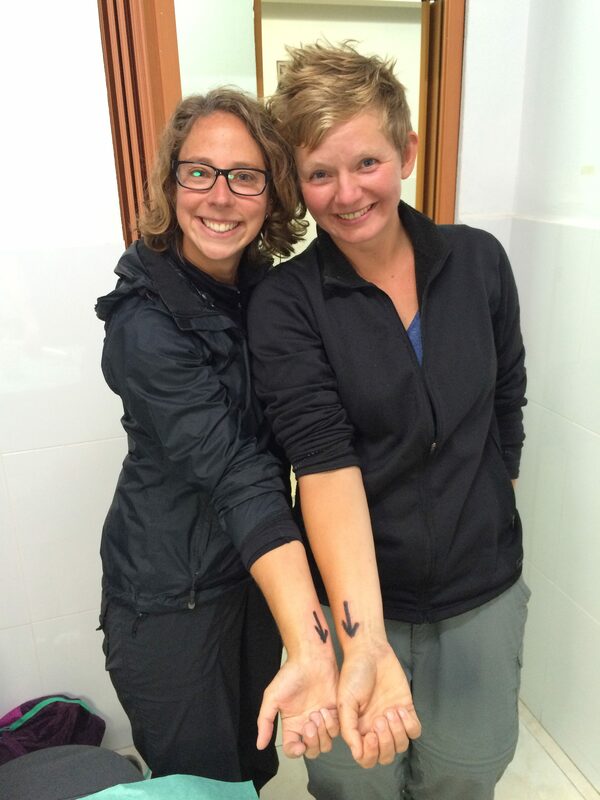 El Camino de Santiago de Compostela – am I crazy? Along with about a billion other travellers and bloggers I decided some time ago that I wanted to walk El Camino de Santiago de Compostela, the Way of St James, also known as Camino Frances. 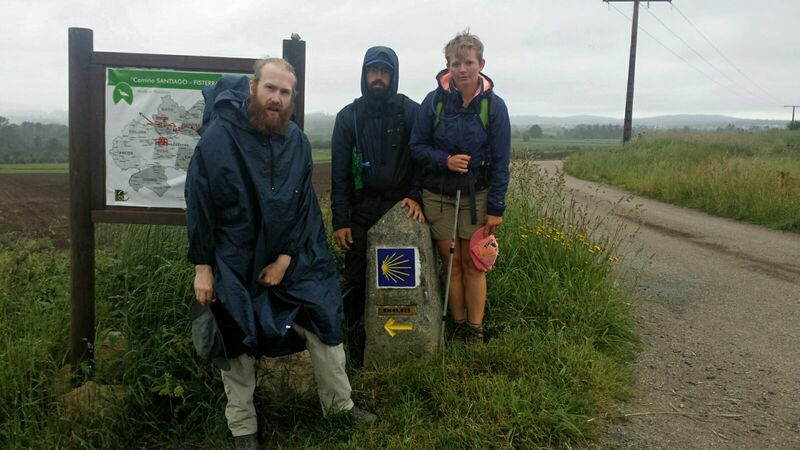 It’s an 800km pilgrimage from Saint-Jean-Pied-De-Port in France across the north of Spain to Santiago de Compostela. It’s a pilgrimage and pilgrimages are typically rooted in religion. People set themselves a hard physical challenge in order to atone for their sins and seek acceptance into heaven. While I was raised in a Christian home and school environment, I maintain some level of faith but I am not a practicing Christian. For me walking the camino is not a religious undertaking, it is more a personal challenge, to walk 800 kilometres and to give me time to think about what I want for myself in the future. 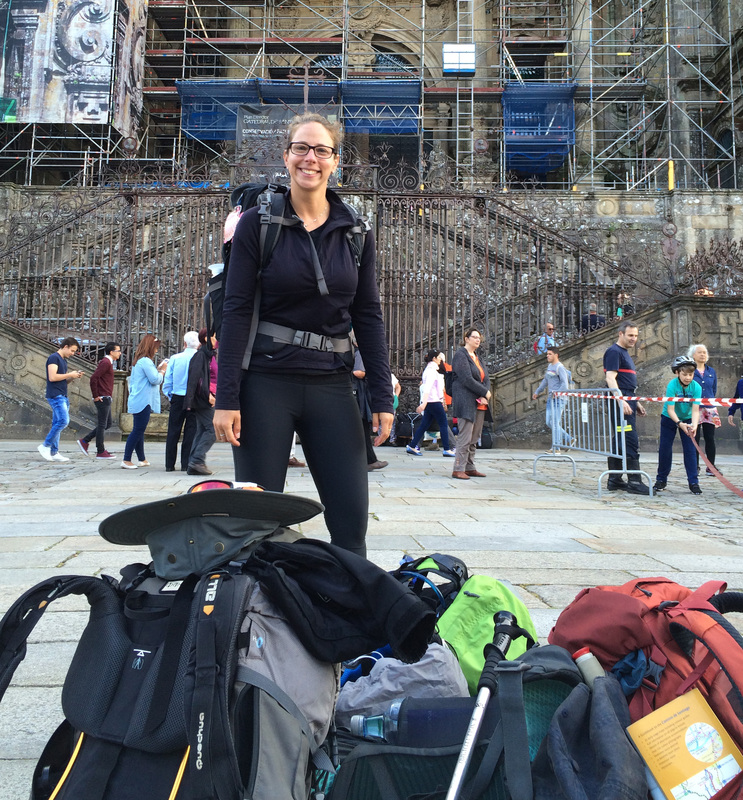 I know from my own perspective that there are lots of questions about the camino, how to go about preparing, what to pack, how to get to the start point, what’s it like on the train etc. I haven’t started yet, so I will answer some questions at a later date, but I can start off by answering all the pre-walk questions. If you have never heard of the Camino, the I’d recommend watching the movie The Way. It certainly added to my inspiration! You might be horrified to know that I haven’t done any preparation (and I myself am currently in panic mode about this). 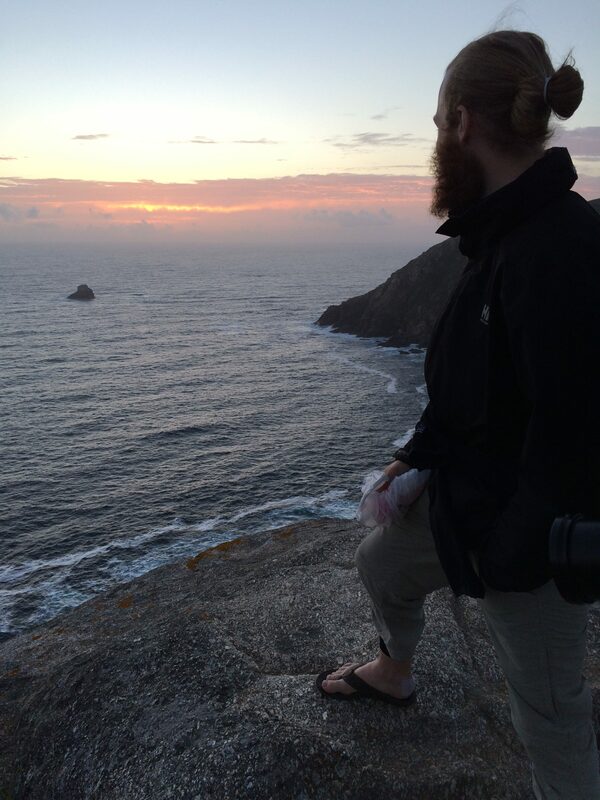 I have been travelling continuously for over 12 months. As a money saving thing as well as being fitness related, I walk almost everywhere. Often exploring a new city I will walk at least 20km in a day. I also run, a bit, from time to time, so my fitness level is ok. In travelling so much, I always carry my stuff around. 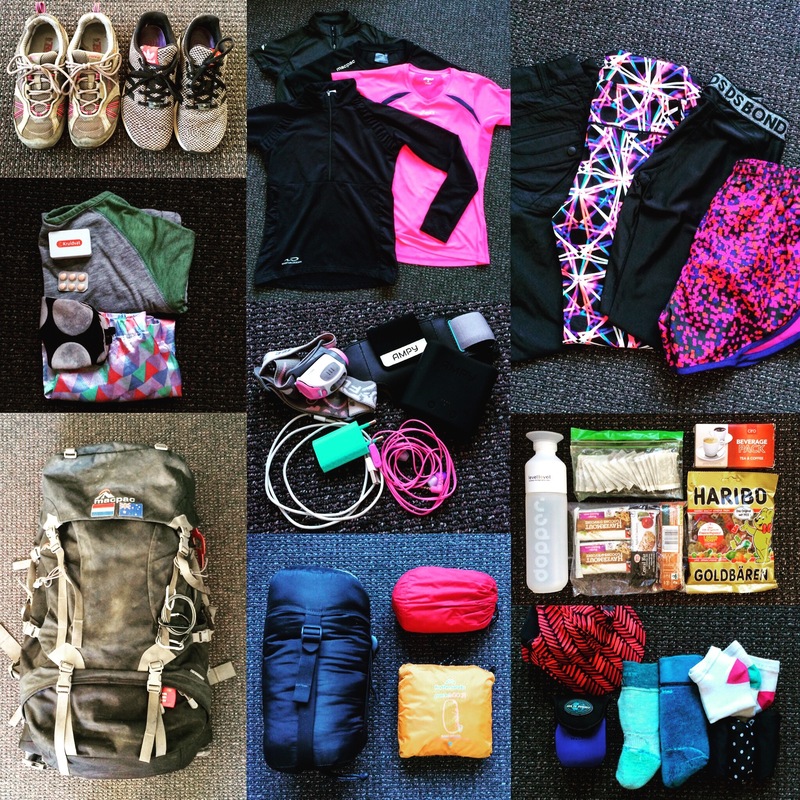 I will often be carrying a full hiking pack and a full daypack, which might amount to something like 21kg. While I can’t maintain carrying that weight for a long time, it does mean I have built up some resilience to carrying gear. Based on discussions with people who have walked the Camino, the advice was to walk it in the lead up to Summer or at the end of Summer. Recommended months are May or September, this is for the temperature/weather and for the number of people walking. I had hoped to walk it in September 2015 but was much too busy with other adventures and when I had time, it had gotten too late in the year for me to do it. That left me with May 2016 (well actually it really leaves me every May and September until I die, but I chose May 2016). So what you would have realised by now is that despite this being a “pre camino” post, I am actually already walking as you read this and should be two weeks into my challenge. I will be heading of to my start point, Saint-Jean-Pied-De-Port from the tiny town of Sliedrecht in The Netherlands. The trip between the two has numerous connections, hopefully all of which will run smoothly and will take a FULL day. Ask a family member VERY nicely if they will drop me off in Dordrecht for my 0627 train. This is the challenging part, as I am a chronic over-packer. I have been making little piles of stuff to pack based on the advice from friends who have done it, in addition to the packing lists published by Dave from Whats Dave Doing? and Candice from Free Candie. This is my current pile of stuff (it may still be altered at the last minute)…after the walk I will get back to you with the final list as well as what I wished I had packed and wished I hadn’t packed.